You are cordially invited to join us at the 2018 Women & Hi Tech Holiday Networking Event from 6-8 p.m. on Wednesday, December 5, 2018 at The Eagle’s Nest at Hyatt Regency (top floor), One South Capital Avenue, Indianapolis, IN 46204. 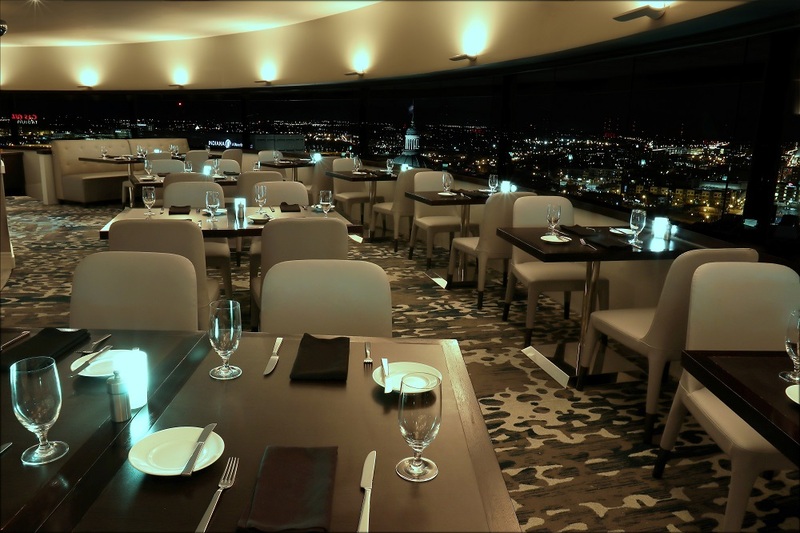 The Eagle’s Nest is the only revolving restaurant in Indianapolis providing 360° views of the downtown Indianapolis skyline, and will be open exclusively to our membership for the evening. Please bring your holiday spirit to this members-only event in order to network with other members, recap this year’s accomplishments, and to learn more about the organization’s exciting plans for 2019. This event is FREE for members, but you must register to reserve your spot to attend* and notify us to cancel. ** Paid parking options for The Eagle’s Nest may be found here. Members should register for the Holiday Networking Event as soon as possible and/or by December 3, 2018 as registration will close when this event reaches full capacity! We look forward to seeing you there.